Sarah Frances "Sonny" Dunlap, born September 27th, 19131 in Arkansas,2 was a female professional baseball player from 1936-1937. She appeared once for the Fayetteville Bears and once for the Fayetteville Angels. She was the brother of Buster Dunlap. Frances "Sonny" Dunlap was born to George F. and Myrtle Dunlap, probably near Farmington, AR. She was raised near Farmington, AR, and like her four older brothers, was athletic in nature. Her brothers Buster and Harold "Snooks" both played semi-professional baseball and basketball. Dunlap attended high school in Farmington, AR and college at Crescent College in Eureka Springs, AR. She was a standout basketball player despite her 5'1" stature and joined the Tulsa Business College Stenographers in 1933. With them, she won three National A. A. U. girls basketball championships was twice named All-American. Dunlap was also skilled at baseball. Dunlap became the pride of Washington County, Arkansas. 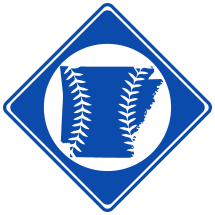 In fact, the local community respected Dunlap enough to allow her play with the Fayetteville Bears baseball club of the class D Arkansas-Missouri League. On Sunday, September 6th, 1936 at age 23, Dunlap took her place in right field at Fairgrounds Park, seemingly without dispute. After all, Fayetteville had little to lose from the stunt. The game was the second to last of the season, and Fayetteville was on the bottom of the league standings. Combining the two games, Dunlap hit a career .200 with a 1.000 fielding percentage. Dunlap lived much of the rest of her life in Tulsa, OK. She died January 9th, 1990 and was buried in Farmington Cemetery in Farmington, AR. 1. Social Security Death Index. Dunlap's FindaGrave.com Page. 2. 1920 U.S. Census , 1930 U.S. Census. and 1940 U.S. Census.